Agartala Sep 14 (IANS) Almost all parties including the ruling BJP s junior partner the Indigenous People s Front of Tripura (IPFT) on Friday demanded the rescheduling of the September 30 panchayat elections to ensure the participation of all parties. The Opposition Communist Party of India-Marxist (CPI-M) led Left Front the Congress and the IPFT a tribal-based party separately urged the State Election Commission to reschedule the ongoing election process as they claimed that "massive violence prevented their nominees to file papers". These parties alleged that the ruling Bharatiya Janata Party (BJP) workers prevented their candidates from submitting nomination papers in 35 blocks through violence on Monday and Tuesday. The BJP denied the accusation. According to police on Monday and Tuesday at least 25 workers of the BJP IPFT and the Congress and over 10 policemen including two senior officers were injured in a series of clashes between the rival factions of political parties in at least 12 places across Tripura. "There is no atmosphere of holding free and fair panchayat elections in Tripura. Out of 35 blocks non-BJP parties were not allowed to file nomination papers by the ruling party supporters and their sponsored anti-socials in 28 blocks " CPI-M central committee member Gautam Das told the media after the meeting with Tripura State Election Commissioner G. Kameswara Rao. Das who led a Left Front delegation to the State Election Commission said that they have told the Election Commissioner that most candidates belonging to non-BJP parties were attacked and their nomination papers and other documents were snatched. "Even all party meetings convened by the returning officers (BDOs) in seven blocks were attacked by the BJP supporters. We have been demanding free and fair elections but the state government and the state election commission failed to keep the situation conducive for conducting a smooth election " the Left leader said. He said despite the demand of almost all parties except the BJP to reschedule the panchayat elections a farcical election process was going on. "Now elections must be deferred and full protection given to the candidates and ensure all parties candidates are able to submit their nomination papers." The IPFT and the Congress also separately urged the election commission to reschedule the panchayat polls "to uphold democracy in the rural areas". The by-elections to a record number of 3 386 seats in gram panchayats (3 207 seats) panchayat samitis (161) and zila parishads (18) were necessitated by large-scale resignations of elected representatives of Left parties and the death of some representatives. 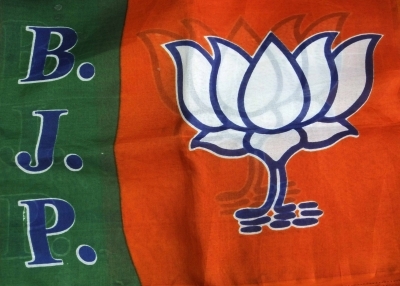 According to a state election commission official for the 3 386 seats the ruling BJP has put up 3381 candidates the CPI-M fielded 110 candidates the Congress 125 the IPFT 66 and independents four candidates.